So, when I was given the honour of making a cake for her thirtieth birthday party, I knew it had to be something spectacular. Betty Croker and canned icing just wouldn’t cut it for someone this special. 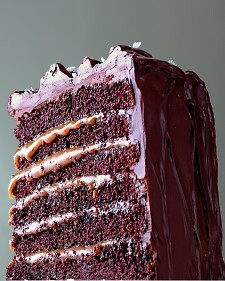 I started searching for something sweet on Martha Stewart’s website and found this insane recipe for a six-layer salted-caramel chocolate cake. It was simultaneously mesmerizing, intimidating and inspiring. I kept looking for a dessert that could top it, but everything seemed lackluster in comparison. I went grocery shopping, bought a candy thermometer and got down to work, making the cake batter and salted-caramel sauce (by far the best part). The next day, I made the chocolate icing and did the assembly before bringing it to the party. The cake was undeniably delicious, with that irresistible mix of sweet and salty. The layers of caramel looked cool once the cake was sliced and, although it was rich, people seemed to like it. 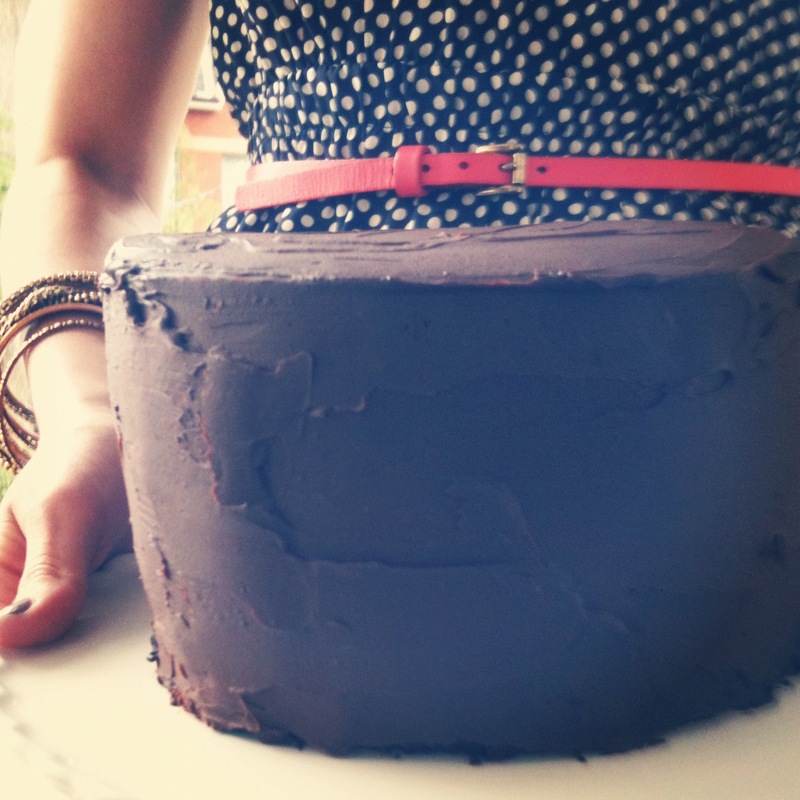 This was no dainty cake: it weighed like, ten pounds. Would I make it again? Not likely. And here’s why: The recipe called for way too much butter and 16 ounces of chocolate! While I love dessert, there are definitely healthier ways to enjoy something sweet. I should’ve realized that it required colossal amounts of unhealthy ingredients as I read the recipe, but I was left starry-eyed after stumbling upon such a showstopping dessert. But I’m glad I attempted it and it was a tasty treat for a very special occasion! This entry was posted in Food and tagged bake, baking, betty croker, birthday cake, cake, candy thermometer, caramel sauce, chocolate, chocolate cake, dessert, eating, food, friends, friendship, love, martha stewart, martha stewart six layer salted caramel chocolate cake, recipe, salted caramel, six layer salted caramel chocolate cake, sweet, sweet and salty by lovewritenow. Bookmark the permalink.